Spin art was one of my favorites as a kid, so recently when I read about making spin art in a salad spinner I was very excited. 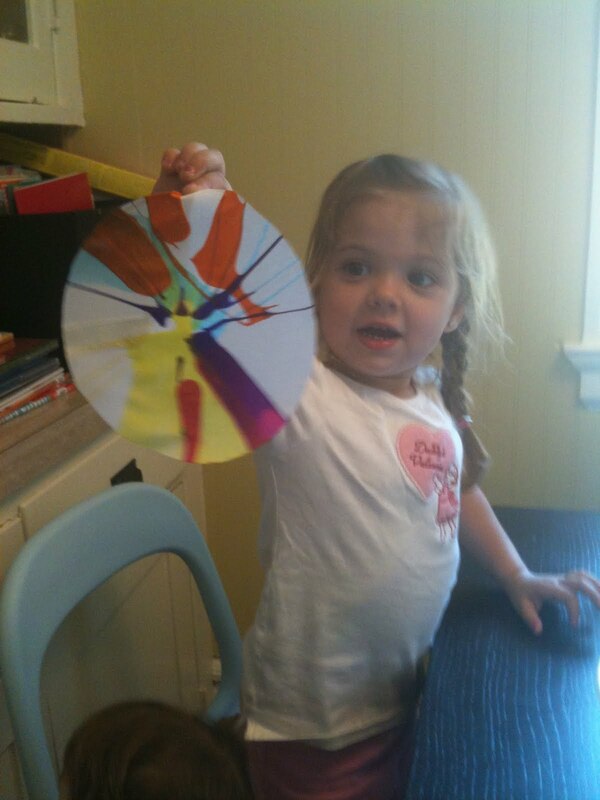 Then today when we went to Ikea and they had salad spinners for $2.00 So this afternoon we made spin art and the girls love it! 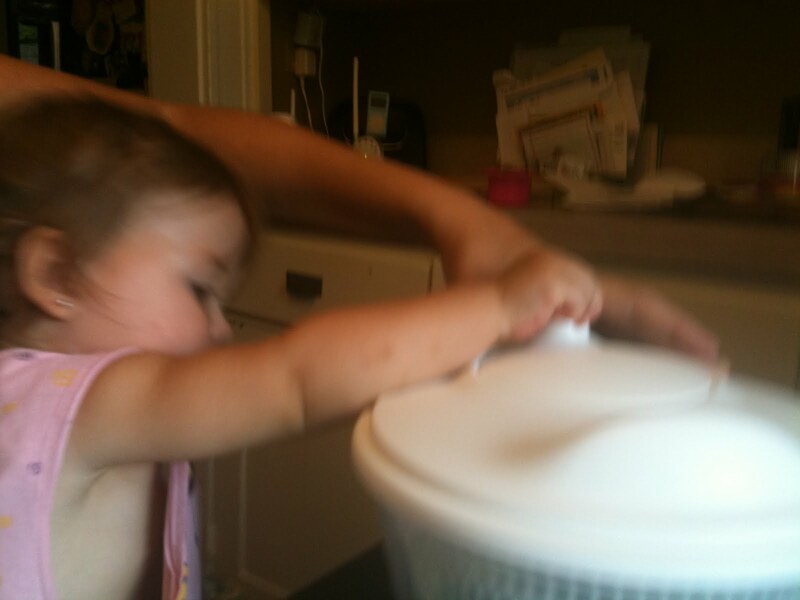 We first cut a piece of paper to fit into the bottom of the salad spinner. The bee and the Bean then selected their paint colors, and we poured a little paint into the center of the paper. We did find after the first one that watering the paint down a little made it spin more. Next we put on the lid and started spinning. The bee was able to spin her self but both girls really just liked watching it spin. The best part is taking of the lid to see what happened! It might be fun to try this with a cake pan (or something else with a high ledge on the sides) and a Lazy Susan & then they could add the paint in while it's spinning. You could do some painted with a brush, some squirted out of a ketchup bottle, etc.